Newspaper headlines tell us the future looks grim: Division in our country and our world are apparent. Sin freely abounds. Lord, have mercy on us all! Being a Christian, let alone a faithful Catholic, is far from celebrated in the eyes of our modern society. It can be difficult to be a witness to our faith, and it is then that our weary hearts so desperately need to hear—really hear—the words in today’s First Reading from the Letter to the Hebrews. “God is not unjust so as to overlook your work and the love you have demonstrated for his name by having served and continuing to serve the holy ones.” God doesn’t miss anything you do, sisters. When it feels like your Christian works are falling on cold, frozen ground instead of rich, fertile soil, take heart. God sees you. We are reminded of God’s promise to Abraham, and how “after patient waiting”—about twenty-five years worth—God fulfilled His promise. Praise God! But that patient waiting part can be so hard, can’t it? How easy it is to grow weary after a few hours, days, or weeks of waiting in prayer, let alone twenty-five years! What a witness, what an encouragement this should be for us. God is faithful, sisters. 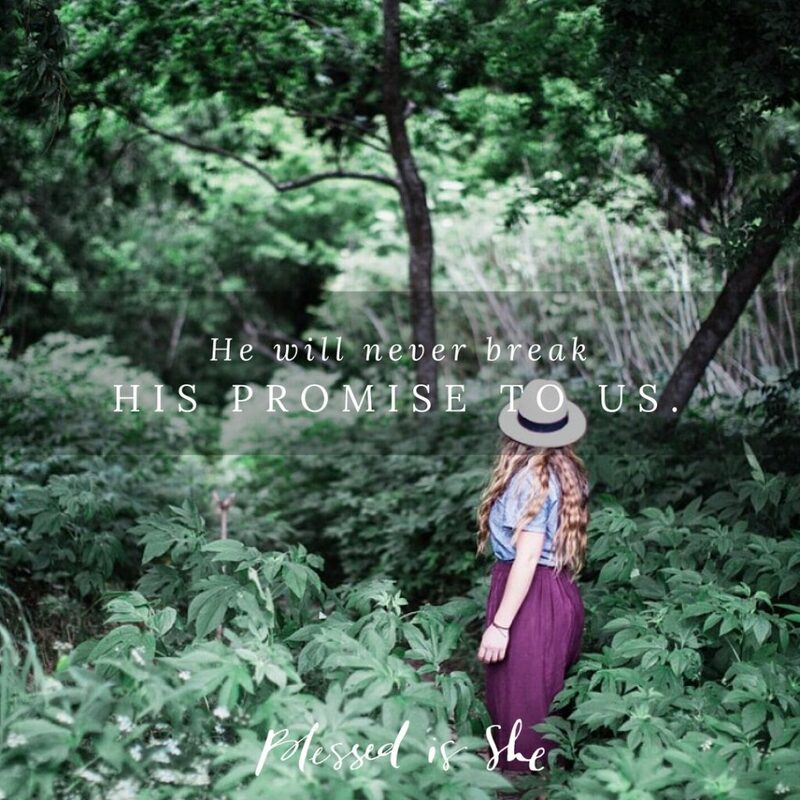 He will never break His promise to us. And then, my favorite line: “We who have taken refuge might be strongly encouraged to hold fast to the hope that lies before us. This we have as an anchor of the soul, sure and firm.” Some days I wear a small gold anchor on a chain around my neck for this very reason: to remind myself that my hope is in Him. That hope, ever-present before us is eternal life with Him. Take a moment, dear sisters. Let this truth wash over your anxieties and cares. Let this promise of hope settle into your heart, that your soul might rest steadfastly believing it. As it turns out, the headlines deceive us. Our future isn’t grim at all. With Him, our future is brighter than we can even imagine. “The Lord will remember his covenant forever,” we hear in today’s Psalm. Let us join our voices with the Psalmist and cry, “Holy and awesome is His name. His praise endures forever.” Amen.